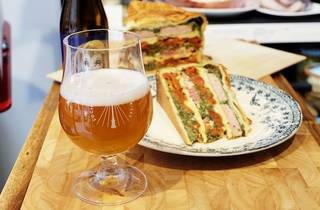 This Batignolles bar is a beer-lover’s heaven. 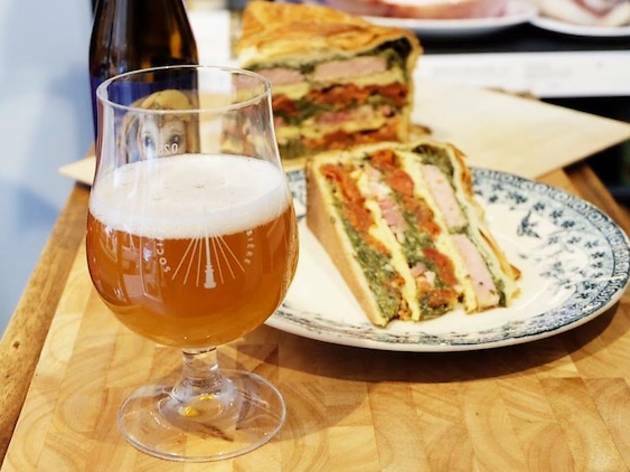 If you’re on the hunt for good, well-sourced beer, look no further. 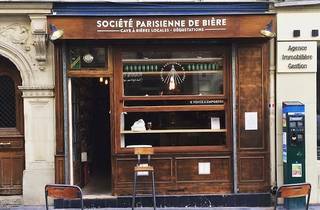 Beer expert Fabien Nahum has been selling his Batignolles-brewed beer from this charming stonewalled shop – ‘cave à bières’ – in the 17th arrondissement for two years. Surrounded by fairy lights and stocked shelves we begin our tasting session, on the advice of Fabien, with a simple larger (Jandrain IV Saison, €4,60) and a perfectly balanced beer from Strasbourg (Bendorf Kollane Lill €5). We also order a shared plate of Salers cheese, smoked lamb from the valée de l’Ubaye and Basque country ‘cul noir’ sausage to go with. This man has taste. The beers keep coming: from an Etoile Du Nord (€4,80) to a Crazy Hops Get Hop Stand Hop (€5,40) (an astonishing, explosive Indian pale ale – we have to order a second). Standout beer of the night, however, is the Wild Beer Modus Operandi (€8,90), a heavenly blend of acidic notes - bordering on vinegary - which still manage to maintain a perfect balance. We drink it like water (it’s 7% water…) and imagine it would go perfectly with a nice big cut of beef. 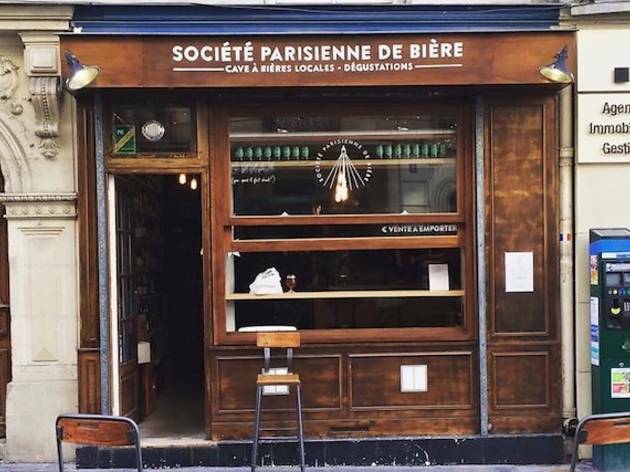 We leave Société Parisienne de Bière absolutely enthused, our only complaint being that we don’t live next door. Metro: Brochant ou La Fourche.